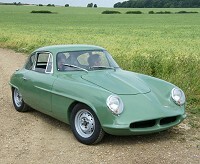 The conversion includes unusual modifications to the engine, suspension and interior. Restoring an MGA recovered from a scrapyard in Texas, driving it to the Alps, and technical tips. 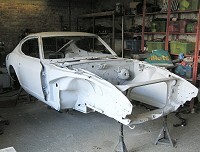 Restoring a Datsun 240Z body. This shell has been poorly repaired following a roll in the past, and a jig will be needed to get it straight. From wreck to immaculate back to wreck. Progress on the second rebuild. Photographs of aircraft and people associated with 609 Squadron between 1937 and 1943.
Who let Ralph near a tank? Changing the chassis on a Land Rover in a weekend. Next time we're going to travel overland. Experience the wonderful world of Renault 4s. MIG welding is one of the most theraputic things you can do in your spare time. Tutorials also cover arc welding. This will keep me busy! There is enough restoration in one of these to justify it's own website. Citroen 2CVs racing against Renault 4s at Santa Pod. Travels including skiing trips, extreme walking, Oktoberfest, and parties.